Born on 16 June 1971, Tupac Amaru Shakur was the son of a Black Panther Party member who was jailed for terrorism while pregnant with him in Brooklyn, New York. He was named after Tupac Amaru, the Incan revolutionary who was sentenced to death by the Spanish. Shakur was raised in Oakland, California. In 1991 he came to public attention with the group Digital Underground and his solo album 2Pacalypse Now, and went on to become a top-selling recording artist. He was criticised for the references throughout his tracks to sexual violence and killing policemen. He was also a promising actor; his first acting role was that of the character Bishop in Juice (1992). The following year he starred opposite Janet Jackson as Lucky in Poetic Justice. In 1994 he was sentenced to 15 days in jail for assault and battery. That year he appeared in Above The Rim. On 29 April 1995 Shakur married Keisha Morris but the marriage was annulled the following year. That year he was accused of sexually assaulting a female fan but he was released after eight months, pending an appeal. His last films were Bullet, Gridlock’d and Gang Related, released in 1997. On 7 September 1996 Shakur watched the Mike Tyson—Bruce Seldon fight in Las Vegas, Nevada. Afterwards he was driving with Death Row Records chief executive Marion “Suge” Knight to a party, when he was shot four times. The murder was put down to rivalry between East and West Coast rappers. On Sunday 9 March 1997 rapper and former drug dealer, Notorious B.I.G., attended the 11th annual Soul Train Music awards. As he was leaving for an after-show party at the Petersen Automotive Museum in Los Angeles he, too, was shot in a drive-by shooting. He died at 1.15am the next day. 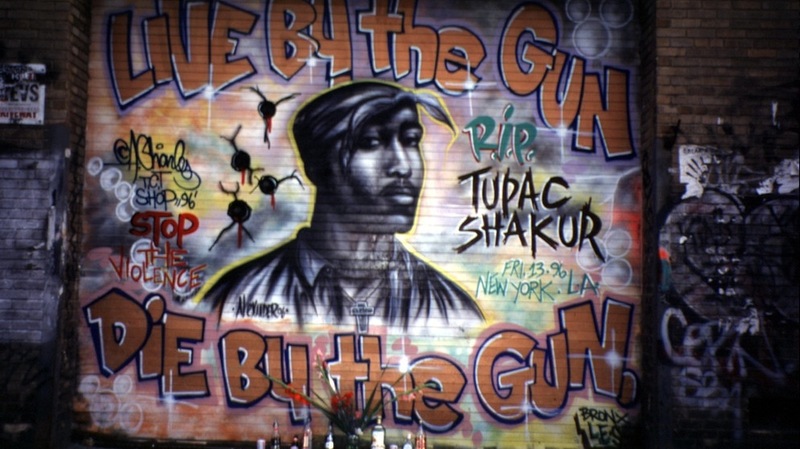 Many believed his death was retribution for the murder of Tupac Shakur. Both murders are unsolved.